As a small business owner in the coffee industry, you can’t afford to lose money on wasteful or ineffective marketing. Therefore you should invest in creating a customer database and then use that database as your core marketing tool. With your customer database in place you’re ready to start creating your direct mail campaigns. Direct Mail marketing remains popular because of it’s incredible value. You can design multiple versions of a direct mail campaign, assign a unique identification code to each version and then test different elements of those designs and measure their success … all for pennies on the dollar. Then it’s just a matter of refining your design to increase the response rate even more and soon you’ll hone the ultimate direct mail weapon for your marketing arsenal … that you can use for years to come. The industry average on response rates for direct mail campaigns hovers right around 2%. What do you think is one of the cheapest, yet most effective, direct mail pieces to send? Postcards. You can also apply and use all these tips for Email Campaigns … just think of the cost savings then! Postcards often get a response rate of up to 4% … or more if your marketing is well-targeted and it’s designed by a marketing professional. Postcards are not only inexpensive to print (from many online printers) but they also don’t require opening … all the recipient has to do is flip the card over to learn more … no muss, no fuss. When it comes to designing direct mail, copy is definitely King, but to catch the attention of today’s consumers your marketing pieces have to stand apart from the crowd and pack a punch with truly valuable offers. In case you’re not the most creative person, I’ll get you jump-started with the following direct mail tips and ideas. 1. Mail Often: Mail regularly and mail often, but make your mailings relevant and interesting. The more often you mail to your mailing list, the more you’re at the front of those customer’s minds when it comes time to buy. You should mail at least 3 times a year: Customer Birthdays, Holiday Specials, & Goals for the New Year. 2. Use Testimonials: Ask your customers to write reviews of your business or products, then send a copy to your mailing list with an invitation to visit you … and throw in a coupon with an expiration date as an extra incentive! Make one of your brand evangelists your customer of the month with a poster and their testimonial … and give them a free coffee every day … what sort of buzz would that create? 3. Use a Loyalty Program: Reward your customers for continuing to do business with you. Setup triggers that alert you when customers have reached a certain purchase level (or track and collect 5 to 10 “punch cards”) and mail them out a note recognizing the accomplishment along with a coupon or discount as a special thank you. Combined with the idea above, you could have a monthly drawing from all the filled cards to determine your Customer of the Month. 4. Create a Referral Program: Ask your best customers to provide you with names and addresses of friends and colleagues that might enjoy your products. Send these referrals a promotional offer and reward the original customer with a gift as well. Try giving regulars a coupon for a couple of free drinks that can only be used by 2 people to further encourage them to bring a pal. Don’t forget to use an incentive to get your customers to join your referral program. Instead of having just a loyalty drink punch-card, you could have a buddy punch-card … once a customer has brought in 10 friends, you buy them lunch. 5. Hold a Seminar or have a Guest Speaker: Conduct a training seminar or organize a speaking event on brewing or storage tips or a coffee cupping and invite your mailing list. You’ll be educating your customers and your guest speaker gets exposure while you get increased traffic to your business. 6. Send a Monthly Newsletter: Feature new products, timely tips, employee of the month, customer of the month (along with their testimonial), ideas for products, upcoming events and seasonal sales. It’s great for getting new customers interested in your business while also keeping existing customers informed and involved. 7. Mail a Coupon Calendar: Send your customers a monthly calendar where certain days are coupons. 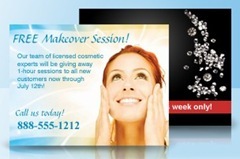 You’ll be amazed at how many sales a single calendar mailing can produce. To cut down on printing and mailing costs, you can include this calendar as a page in your Monthly Newsletter. Again back to our Customer of the Month idea, make the posters into your New Year Calendar … mail them out and hand them out in store. 8. Celebrate Special Occasions: Make sure you note special occasions like birthdays and anniversaries of customers and their significant others, then use that information to show your appreciation of them. About two weeks before a special occasion, mail out a couple of coupons … one for something FREE and one with a special discount. 9. Conduct a Monthly Contest: Mail your customers a contest slip they can fill out and submit for a monthly drawing. This brings people into your store and helps expand your mailing list for future promotions. This too can be part of your Monthly Newsletter. 10. Throw a Private Sale: Mail your loyal customers an invitation to a private sale and give them an extra discount, or a chance to buy at sale prices the day before a public sale. Customers appreciate you acknowledging their loyalty. 11. Have a Block Party: Get other businesses in your area to join forces for a block party. Bring in rides, games, clowns, or other attractions. Make a big sidewalk sale part of the event. Advertise, Advertise, Advertise! Before the big event, mail coupons and special discounts to your list and ask your partners to do the same. 12. Give back to the Community: Send out a letter to all your customers announcing that a certain percentage of sales during a specific period will be donated to a local charity and ask them to be partners in that endeavor. 13. Mail Customers convenient Reminders: “You’re coffee must be getting stale!”, “Only 2 more punches until it’s Free!”, “Since you love Sumatra Mark, we thought you might try our Indonesian Blend”. Customers respond well to reminders like this and appreciate you taking the time and effort … even though it’s an ad, it’s still a nice reminder for a product or service they know they desire. Personalize your mailings with the recipient’s name whenever possible … but make sure it’s spelled right. 14. One final tip, if you offer a nice benefit for replying to a direct mail piece, then arrange for postage paid return … response rates can hit 8% or more!